Our long-time Honeybee class teacher and beloved colleague, Mary Cryderman, passed away on Monday, November 5th 2018. Her warmth and generosity are qualities we all admired and she always went out of her way to support her colleagues. Mary began working at the Detroit Waldorf School as an Early Childhood Assistant. She she was accompanied and supported by many on her journey towards becoming a Waldorf Early Childhood lead teacher. Once she achieved that goal she in turn supported new teachers in many ways. 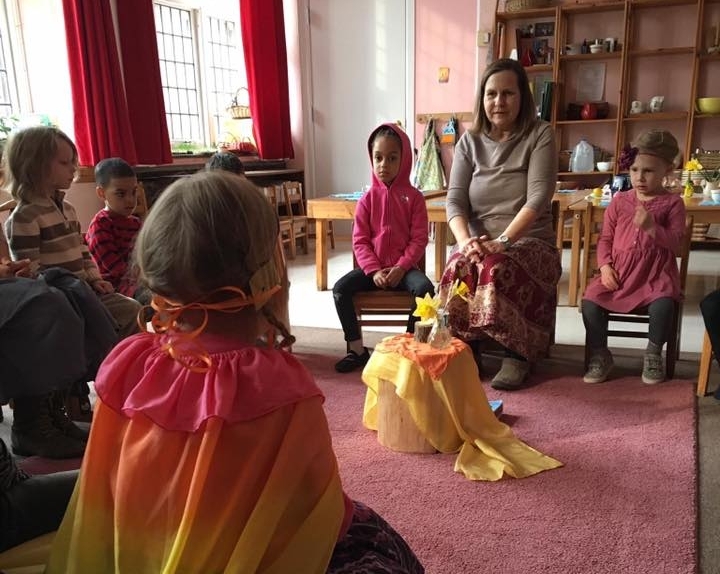 When Mary’s family asked that donations in her honor be directed to the Detroit Waldorf School, we decided to honor Mary’s commitment to helping new teachers grow and learn. By donating to this fund, you will enable us to provide financial assistance to staff wishing to pursue Waldorf Early Childhood teacher training.